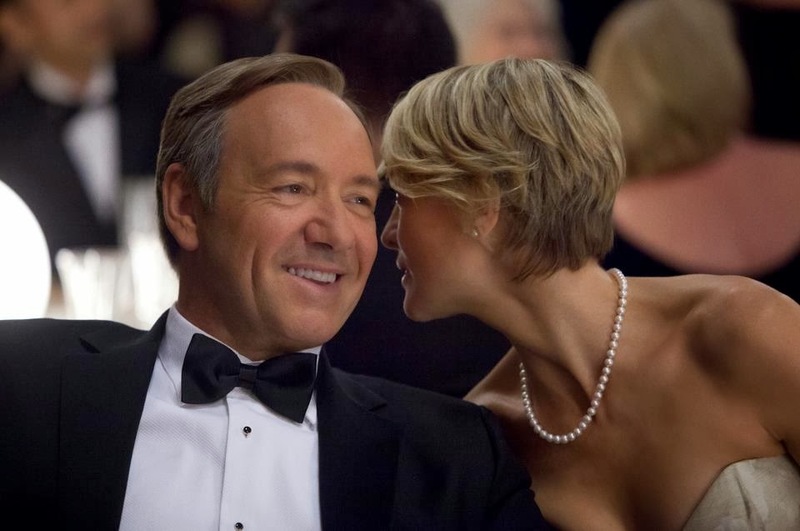 The Netflix original series, House of Cards, will return on Valentine's Day and all episodes of the second season will be available that day. It's perfect for binge viewing. You can just watch one episode. I admit, I came to this series late, but when I finally had time to watch it, I watched the entire first season in two days. It's that good. House of Cards follows Congressman Francis Underwood (Kevin Spacey) and his beautiful wife Claire (Robin Wright) as they turn Washington DC upside down to get more power. According to USA Today, this is what we can look forward to in season two. "Francis and Claire Underwood continue their ruthless rise to power as threats mount on all fronts. Zoe Barnes (Kate Mara), an up-and-coming reporter and Francis' former paramour, is inching closer to the truth about his crimes. President Walker's (Michel Gill) billionaire confidant Raymond Tusk (Gerald McRaney) demands that Francis reciprocate political favors or face retribution. And Claire must confront the increasing glare of the spotlight as it eats away at her and Francis' once private existence. The Underwoods must overcome these dangers — past and present — to avoid losing everything, regardless of collateral damage they leave in their wake."